Literally, everything in this photo, I am in love with. 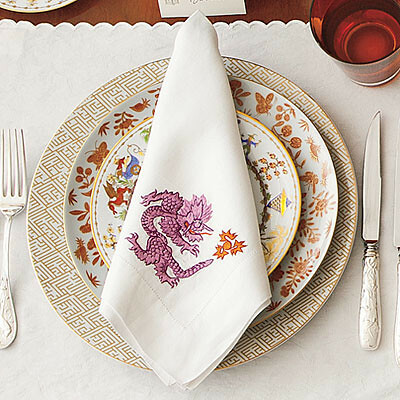 From the mix & match china to the Dragon Linens, the scalloped edge place mats, and the gorgeously delicate silverware. I'm ga-ga for it all!